Completing the Homework 1 Quiz on CANVAS. You need to log into CANVAS to complete this quiz. Completing and submitting the Jupyter Notebook for Homework 1 (ea-bootcamp-hw-1.ipynb). You will need follow the instructions below Part 3: Submit Your Jupyter Notebook to GitHub to submit this component. You need to complete both components of this assignment (Homework 1) by Friday, August 10th at 8:00 AM (U.S. Mountain Daylight Time). See this link to convert the due date/time to your local time. Each component contributes 50% to your final grade for Homework 1. 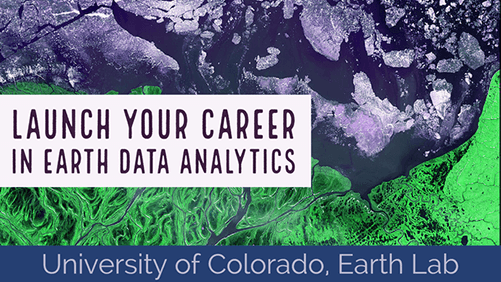 Be sure that you have completed all of the lessons from Days 1, 2, and 3 for the Earth Analytics Bootcamp. Completing the challenges at the end of the lessons will also help you with this assignment. You will need the Jupyter Notebook for Homework 1 (ea-bootcamp-hw-1.ipynb), which is in your forked repository for Homework 1 (https://github.com/yourusername/ea-bootcamp-hw-1-yourusername). On Day 1 of the course, you will receive an email invitation to Homework 1 via CANVAS. Accept the invitation, which will create a new private repository that includes your Github.com username in the name of the repository: https://github.com/earthlab-education/ea-bootcamp-hw-1-yourusername. Fork this repository to your GitHub account. Your forked repository will be available on https://github.com/yourusername/ea-bootcamp-hw-1-yourusername. Clone your forked repository ea-bootcamp-hw-1-yourusername to the earth-analytics-bootcamp directory on your computer (hint: cd, git clone). This repository will contain the the Jupyter Notebook for Homework 1 (ea-bootcamp-hw-1.ipynb). Complete the Homework 1 Quiz on CANVAS. You need to log into CANVAS to see this quiz. This component contributes 50 points to your homework grade (out of a total possible points of 100). This component will test your Shell, Jupyter Notebook and Git skills from Days 1 to 3. The second part of this homework assignment will involve you working on a set of questions in a Jupyter Notebook. Open ea-bootcamp-hw-1.ipynb in your ea-bootcamp-hw-1-yourusername repository, and follow the instructions in the notebook (which are also listed below). All new cells should be added after this Markdown cell with the instructions and in the order specified. For code cells, be sure to add Python comments to document each code block and use appropriate variable names that are short and concise but also clearly indicate the kind of data contained in the variable. Review the variable names that you have seen throughout the lessons. The possible points earned for each question are listed; this component contributes 50 points to your homework grade (out of a total possible points of 100). This component will test your Jupyter Notebook and Python skills from Days 1 to 3. Rename your Jupyter Notebook file for Homework 1 (ea-bootcamp-hw-1.ipynb) by adding your first initial and last name to the filename (e.g. jpalomino-ea-bootcamp-hw-1.ipynb). A title for the notebook. A bold word for Author: and then add text for your name. A bold word for Date: and then add text for today’s date. Add a new Markdown cell below, and answer the following questions using a numbered list. In 1-2 sentences, define open reproducible science. In 1-2 sentences, choose one of the tools that you have learned (i.e. Shell, Git/GitHub, Jupyter Notebook, Python) and explain how it supports open reproducible science. Import the matplotlib.pyplot module using the alias plt. Add a new code cell below, and add the appropriate Python function to print your current working directory, which should be the full path to the ea-bootcamp-hw-1-yourusername directory. For this question, you will use data on average monthly temperature for Boulder, Colorado, provided by the U.S. National Oceanic and Atmospheric Administration (NOAA). Create new variables for monthly average temperature (Fahrenheit) for January through December. Print the variable for December. Note that including Fahrenheit - 32 within parenthesis () tells Python to execute that calculation first. Print the new variable for December. Create a new list for average monthly temperature for Boulder, CO from the variables containing the Celsius values. Create another list for the month names using full-length month names (e.g. January). Print the month name list. Create a red bar plot of the average monthly temperature for Boulder, CO using the lists created in Question 8 (units in Celsius). Be sure to include a title for your plot. Be sure to include labels for the x- and y-axes, including the units for the temperature (Celsius). Rotate the x-axis markers, so that the spacing along the x-axis is more appealing with long month names. Add a new Markdown cell below, and answer the following questions (4-6 sentences). Which months have the lowest and the highest temperatures? How much of a difference is there between the lowest and highest temperatures? Given that Boulder, CO is in the Northern Hemisphere, are these results surprising? How might the results look different if you were plotting data from a location in the Southern Hemisphere? To answer these questions, it can help to review the location of Boulder Colorado on Google Maps. Guided Activity on Version Control with Git/GitHub to add, commit, and push your Jupyter Notebook for Homework 1 to your forked repository for Homework 1 (https://github.com/yourusername/ea-bootcamp-hw-1-yourusername). Guided Activity to Submit Pull Request to submit a pull request of your Jupyter Notebook for Homework 1 to the Earth Lab repository for Homework 1 (https://github.com/earthlab-education/ea-bootcamp-hw-1-yourusername).